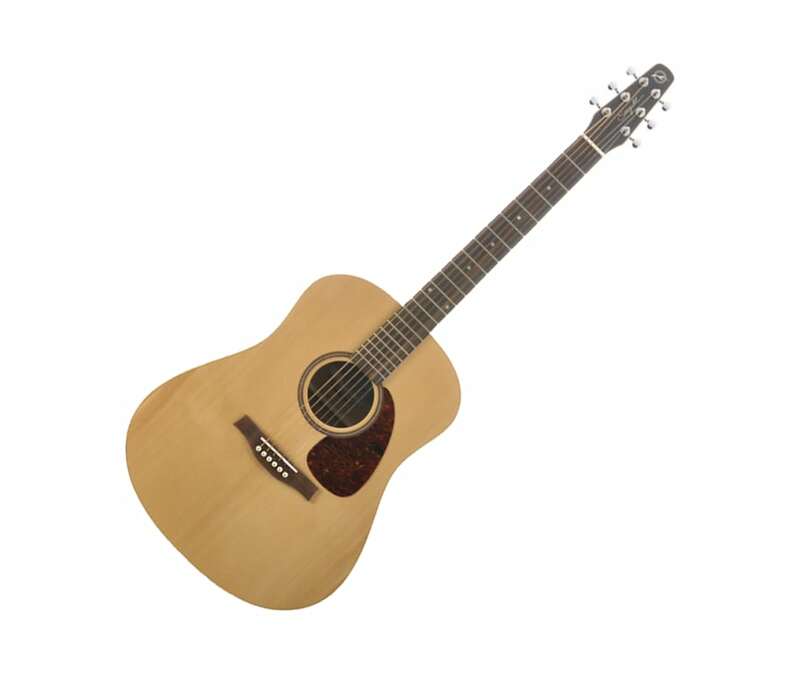 The Seagull Coastline series represents another outstanding value in the acoustic guitar world. Featuring select pressure tested solid Cedar or Spruce tops, Wild Cherry back & sides, integrated set necks and custom polished finishes. On Seagull's Coastline "GT" models, these finishes include the aesthetic beauty of semi-gloss back and sides combined with a lustrous Gloss Top. All models in the Coastline series, also feature a beautiful dark stain on their back and sides that is both rich & distinctive in appearance. The Coastline S6 Spruce is an ideal choice for players who prefer a mix of the brighter sound of a Select Solid Spruce top with the mellower tones of wild cherry back and sides. As with all models in the Coastline series, the back and sides of the S6 Spruce are beautifully stained with a rich and distinctive dark Custom Polished finish.